Mousa Abu Marzouk. [Source: US Department of Corrections]On July 5, 1995, high-level Hamas leader Mousa Abu Marzouk is detained at a New York City airport as he tries to enter the US. An immigration agent checks Marzouk’s name against a watch list and finds a match. Marzouk’s name had apparently been added to the watch list in recent months, so he had not been stopped on previous trips. Although not a US citizen, he had been living in the US for 14 years. Israel considers him the head of Hamas’ political wing, and he is already under indictment in Israel for at least ten attacks that killed at least 47 people. 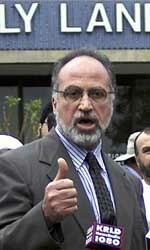 In 1994 he appeared on Lebanese television to take credit for a Hamas suicide attack in Israel, saying, “Death is a goal to every Muslim.” When he is detained in New York, he is found with an address book that the FBI says contains the names, telephone numbers, and addresses of numerous “active and violent terrorists and terrorist organizations.” More than 20 percent of the addresses are in the US. He is also carrying paperwork connecting him to charities and companies worth more than $10 million, which the FBI suspect are part of a Hamas money laundering operation in the US. On August 16, 1995, the US declares him a “Specially Designated Terrorist.” [New York Times, 7/28/1995; Emerson, 2002, pp. 86-87; Federal News Service, 6/2/2003; Wall Street Journal, 6/21/2004] In August 1995, the US announces it will extradite Marzouk to Israel rather than try him in the US. Extradition hearings proceed slowly until 1997, when Marzouk announces he will no longer fight being deported to Israel. Then Israel makes the surprise announcement that it is no longer seeking Marzouk’s extradition. They cite a fear of a highly publicized trial and the fear of retaliatory terrorist attacks. In May 1997, the US deports Marzouk to Jordan, “ending what had become an embarrassing case for both the United States and Israel.” Jordan in turn deports him to Syria, where he will live and continue to work as a top Hamas leader. At the time of his deportation, it is claimed that one reason Marzouk is being deported is because the evidence against him is weak. [New York Times, 4/4/1997; New York Times, 5/6/1997; Emerson, 2002, pp. 87-89] However, FBI agent Robert Wright will later claim that he uncovered more than enough evidence to convict Marzouk, but that higher-ups in the FBI did not want to disrupt the Hamas support network in the US, apparently in hopes that Hamas would commit enough violent attacks to disrupt peace negotiations between Israel and more moderate Palestinians (see June 2, 2003). Entity Tags: Hamas, Mousa Abu Marzouk, United States, Robert G. Wright, Jr.
A 1996 CIA report shows that US intelligence believes that the International Islamic Relief Organization (IIRO), a Saudi charity with strong ties to the Saudi government, is funding a variety of radical militant groups (see January 1996). However, no action is taken against it. Also in 1996, Valerie Donahue, a Chicago FBI agent who is presumably part of Robert Wright’s Vulgar Betrayal investigation, begins looking into Global Chemical Corp., a chemical company that appears to be an investment fraud scheme. The company is jointly owned by the IIRO and Abrar Investments Inc. Suspected terrorism financier Yassin al-Qadi has investments in Abrar Investments and he is also director of its Malaysian corporate parent. Donahue finds that Abrar Investments gave Global Chemical more than half a million dollars, and the IIRO gave it over $1 million. Further, the Saudi embassy has recently sent $400,000 to the IIRO. The president of Global Chemical is Mohammed Mabrook, a Libyan immigrant and suspected Hamas operative. 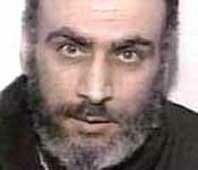 Mabrook had previously worked for a pro-Palestinian group led by Hamas leader Mousa Abu Marzouk. (Marzouk is in US detention from 1995 to May 1997, but he is apparently merely held for deportation and not questioned about matters like Global Chemical (see July 5, 1995-May 1997).) Donahue discovers that Global Chemical is keeping a warehouse full of highly toxic chemicals, but they do not seem to be selling them. In late 1996, a chemical weapons expert examines the chemicals and opines that they appear to be meant for a laboratory performing biochemistry or manufacturing explosives. While no direct evidence of bomb making is found, investigators know that a Hamas associate of Marzouk, Mohammad Salah, had previously trained US recruits to work with “basic chemical materials for the preparation of bombs and explosives.”(see 1989-January 1993) In January 1997, the FBI raids Global Chemical and confiscates the chemicals stockpiled in the warehouse. Mabrook is questioned, then let go. He moves to Saudi Arabia. Abrar Investments vacate their offices and cease operations. 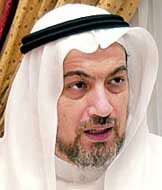 In June 1999, Mabrook will return to the US and will be prosecuted. He will be tried on fraud charges for illegal dealings with the IIRO and given a four year sentence. Meanwhile, the IIRO ignores an FBI demand for accounting records to explain how it spent several million dollars that seem to have gone to the IIRO and disappeared. In January 1997, Donahue requests a search warrant to find and confiscate the records, saying that she suspect IIRO officials are engaged in “possible mail and wire fraud… and money laundering.” Apparently, the probe stalls and the financial records are never maintained. Some investigators believe the probe is dropped for diplomatic reasons. [Wall Street Journal, 11/26/2002; Wall Street Journal, 12/16/2002; Canadian Broadcasting Corporation, 10/29/2003] Investigators will later be prohibited from investigating a possible link between al-Qadi and the 1998 US embassy bombings (see October 1998). After 9/11, the US will apparently have ample evidence to officially label the IIRO a funder of terrorism, but will refrain from doing so for fear of embarrassing the Saudi government (see October 12, 2001). The US government once again considers going after the Holy Land Foundation for its ties to Hamas. Israel freezes the foundation’s assets this year, and the Treasury Department proposes making a similar asset freeze in the US as well. [Wall Street Journal, 2/27/2002] In 2000, the New York Times will report, “Some government officials recommended that the group be prosecuted in 1997 for supporting Hamas, the militant Islamic group. But others opposed the effort, fearing that it would expose intelligence sources and spur public criticism of the administration as anti-Muslim.” [New York Times, 2/19/2000] Those pushing to prosecute the group would certainly include Vulgar Betrayal investigation FBI agents like Robert Wright. Wright had been aware of Holy Land’s ties to Hamas since 1993 (see After January 1993 and October 1993). However, Attorney General Janet Reno blocks the proposal and no action is taken. [Wall Street Journal, 2/27/2002] Counterterrorism “tsar” Richard Clarke claims that in 1995 he pushed for something to be done to Holy Land, but higher-ups overruled him (see January 1995-April 1996). Entity Tags: Janet Reno, Hamas, Vulgar Betrayal, US Department of the Treasury, Holy Land Foundation for Relief and Development, Robert G. Wright, Jr. The Islamic African Relief Agency (IARA), a charity said to be tied to the government of Sudan, which the US officially lists as a terrorism sponsor. The State Department’s USAID program gave the IARA two grants in 1998 worth $4.2 million for work in Mali, then later cancelled the grants (see November 1996-Late December 1999). The Holy Land Foundation, based in Richardson, Texas. The Global Relief Foundation, also based in Richardson, Texas. Human Concern International, a Canadian-based group shut down by Canada in 1997. In September 1999, FBI agent Robert Wright hired David Schippers as his lawyer to represent him in his troubles with the FBI (see August 3, 1999). 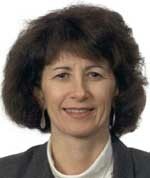 Schippers was the House Judiciary Committee’s chief investigator in the Clinton impeachment trial. Schippers later will claim that at this time he begins contacting congresspeople that he knows from the impeachment trial with concerns about terrorism. He later recalls, “I was talking primarily about the infiltration of Hamas [inside the US]—how they’re moving the money. I have evidence on that. I have all kinds of material.” In an obvious reference to the Vulgar Betrayal investigation, he also will assert that he knew US intelligence had “established the sources of the money flow of bin Laden” as early as 1996, but by 1999 had faced high-level obstructions into investigating these matters. But he will claim, “I couldn’t get anybody to talk to me.” [WorldNetDaily, 10/21/2001; Ahmed, 2004, pp. 258-260] Schippers later claims he will continue to warn politicians about terrorism funding in the US, while also warning them about a potential al-Qaeda attack on lower Manhattan based on information he will receive in May 2001 (see May 2001; July-Late August 2001). FBI agent Robert Wright will later claim that the FBI takes extraordinary efforts to gag him in the wake of the 9/11 attacks. According to Wright, “On September the 11th, as I watched the World Trade Center towers burn, I did not initially share the same feelings of surprise and shock and dismay most Americans felt. I just thought to myself, ‘It has begun.’” On the afternoon of 9/11, he claims that he is called by reporters from the New York Times and 60 Minutes who already are aware of his issues with FBI management (see June 9, 2001-July 10, 2001). They ask if he would be willing to go public with his story. He declines. “I’m confident if I had gone public at that time I would have been fired. I realized my termination would only aid the FBI by allowing management to claim I was simply a former employee who was disgruntled over his termination.” Over the next few days, his former supervisor prohibits him from working with the 9/11 investigation. He is not allowed to answer any incoming telephone calls from the general public. The FBI prohibits him from publishing his recently completed book on FBI failures (see May 9, 2002). 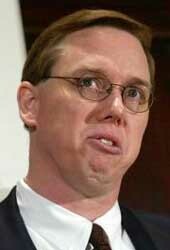 His lawyers contact a congressman who invites him to come to Washington and present his information to Congress. Wright is immediately prohibited from traveling outside of Chicago without FBI approval. Larry Klayman, one of two lawyers now representing Wright, later says he calls the Justice Department a few days after 9/11 and asks that Wright be allowed to present his issues to Attorney General John Ashcroft. Klayman claims he receives a reply from Michael Chertoff, then head of the Criminal division, who refuses to meet with Wright and says, “We are tired of conspiracy theories.” [Federal News Service, 5/30/2002; Federal News Service, 6/2/2003] On September 20, Wright’s legal representatives publish a list of 20 entities described as “Tax Exempt and Other Entities to Investigate Immediately.” The US will later shut down many of these entities. [Judicial Watch, 9/20/2001] The restrictions placed on Wright will largely continue to hold in the years afterwards. For instance, as of the end of 2005, his book still has not been approved for publication (see May 9, 2002). Ghassan Elashi holds a press conference and denies any connection to terrorist funding. [Source: Associated Press]Mousa Abu Marzouk, his wife, and five brothers (Ghassan Elashi, Bayan Elashi, Hazim Elashi, Basman Elashi, and Ihsan Elashi) are charged with conspiracy, money laundering, dealing in the property of a designated terrorist, illegal export, and making false statements. The brothers are arrested in Texas, but Marzouk and his wife are living in Syria and remain free. 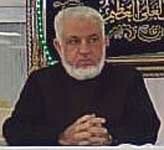 Marzouk is considered a top leader of Hamas. 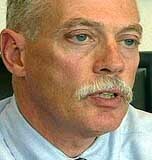 FBI agent Robert Wright had been investigating Marzouk and the brothers since the late 1990s. 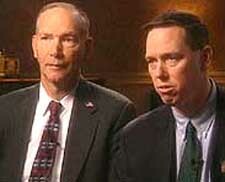 Wright is set to appear on ABC News on December 19, 2002, to complain that the FBI had failed to prosecute Marzouk for years. As the New York Post notes, “That got results: A day before the show aired, Attorney General Ashcroft announced he would indict Marzouk.” [BBC, 12/18/2002; Associated Press, 12/18/2002; Washington Post, 12/19/2002; New York Post, 7/14/2004] FBI agent John Vincent, who worked closely with Wright, comments, “From within the FBI, [Wright] and I tried to get the FBI to use existing criminal laws to attack the infrastructure of terrorist organizations within the United States, but to no avail. It took an appearance [on television] by [Wright] and I to propel them into making arrests that they could have made as early as 1993.” [Federal News Service, 6/2/2003] ABC News similarly notes, “Marzouk was in US custody in 1997 and under criminal investigation then for much the same crimes cited today.” [ABC News, 12/18/2002] Ghassan Elashi was the vice president of InfoCom Corporation, which was raided on September 5, 2001 (see September 5-8, 2001). 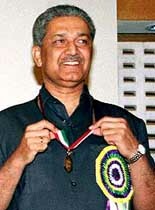 He was also chairman of Holy Land Foundation, which was shut down in December 2001. InfoCom and Holy Land were based in the same Texas office park and shared many of the same employees. [Guardian, 9/10/2001; CBS News, 12/18/2002; Associated Press, 12/23/2002] Holy Land raised $13 million in 2000 and claimed to be the largest Muslim charity in the US. The government charges that Hamas members met with Ghassan Elsashi and other Holy Land officials in 1993 to discuss raising money for the families of suicide bombers (see October 1993). Wright had begun an investigation into Holy Land that same year, but he faced obstacles from higher-ups and eventually his investigation was shut down. [CBS News, 12/18/2002; New York Times, 7/28/2004] In 2004, the five Elashi brothers will be convicted of selling computer equipment overseas in violation of anti-terrorism laws. In 2005, three of the brothers, Ghassan, Basman, and Bayan Elashi, will be found guilty of supporting Hamas by giving money to Mazouk through 2001. [BBC, 7/8/2004; Associated Press, 4/13/2005] In July 2004, Ghassan Elashi will be charged again, along with four other former Holy Land officials. Two other Holy Land officials will also charged but not arrested, since they had recently left the country. Sen. Charles Schumer (D-NY) will state: “I wonder why this prosecution has taken so long. I think until recently we have not put the resources needed into tracking groups that finance terrorism, and the fact that they didn’t get 24-hour surveillance on these two who escaped is galling and perplexing.” [New York Times, 7/28/2004] In 2007, this court case will result in a mistrial, and be cast as a major setback for the Justice Department (see October 19, 2007). FBI agent Robert Wright holds a second press conference, accusing the FBI of obstructing the Vulgar Betrayal investigation before 9/11, and then engaging in a cover up after 9/11. He criticizes what he calls the FBI’s “pathetic anti-terrorism efforts.” He says, “the FBI does not want Congress and others to know how the FBI’s international terrorism unit was instrumental in the collapse of the Middle East peace process. The documents detail how the FBI allowed known terrorists, their co-conspirators and financiers to operate and roam freely throughout the United States while simultaneously turning a blind eye to the criminal activities of terrorists and obstructing those of us who are truly trying to identify them and neutralize them.” He also states, “I blame the FBI’s international terrorism unit for being instrumental in the collapse in the Middle East peace process in the 1990s.” [Federal News Service, 6/2/2003; CNN, 6/19/2003] The FBI responds by launching a dubious disciplinary investigation into Wright (see After June 2, 2003-December 2003). The same day Wright makes these allegations, news reports will indicate suspected Hamas operatives are still living openly in the US (see June 2-5, 2003). Abdelhaleem Ashqar. [Source: Paul J. Richards / Agence France-Presse / Getty Images]NBS News and ABC News report that Mohammad Salah is living openly in Chicago. The US government had declared Salah a “designated global terrorist,” in 1995 and his name has remained on the list ever since (see February 1995). 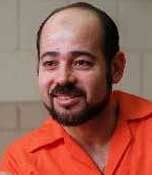 Salah was convicted in Israel for being a member of Hamas and served five years in prison. Suspected Hamas fundraiser Jamil Sarsour is running a grocery store in Milwaukee, Wisconsin. US officials say Sarsour helped finance a string of suicide bus bombings in Israel, including one that killed two Americans. He also spent several years in an Israeli prison in the 1990s. Furthermore, suspected Hamas fundraiser Abdelhaleem Ashqar is working as a professor at Howard University in Washington. NBC additionally reports there are “about two dozen [other] alleged Hamas operatives in the United States now under investigation by the FBI.” FBI agent Robert Wright began investigating these men and others in the early 1990s. For instance, Ashqar organized a secret Hamas fundraising meeting in Philadelphia in the early 1990s that was wiretapped by the FBI (see October 1993). Wright believes Sarsour has been a pivotal figure in sending funds from the US to Hamas overseas since the early 1990s (see 1989-January 1993). Wright claims that the FBI could have moved against Hamas in the US years before 9/11. He says, “The Hamas criminal enterprise has been flourishing since then. These guys are still operating strong today because we’re doing absolutely nothing about it. The FBI has turned a blind eye to what they are doing.” Salah, who had been employed as a college professor in Chicago since February 2002, is fired from his job as a result of these stories. [MSNBC, 6/2/2003; ABC News, 6/5/2003; ABC News, 6/12/2003] But the men are not arrested in the wake of the media reports. Salah and Ashqar will finally be indicted in August 2004 (see August 20, 2004). FBI special agent and whistleblower Robert G. Wright Jr. wins the right to publish most of the information over which he has been fighting the FBI in court for nearly seven years (see May 9, 2002). US District Court Judge Gladys Kessler rules that Wright can publish most of the information in his 500-page manuscript, all of the information in two complaints he had filed with the Department of Justice Office of Inspector General regarding the FBI’s handling of terrorism investigations, and his answers to New York Times reporter Judith Miller’s questions. Kessler also rules that Wright’s colleague and co-plaintiff, FBI Special Agent John Vincent, can publish his answers to Miller’s questions. Entity Tags: John Vincent, Gladys Kessler, Federal Bureau of Investigation, Office of Inspector General (Justice Department), Josh Gerstein, Judith Miller, Paul Orfanedes, Robert G. Wright, Jr.